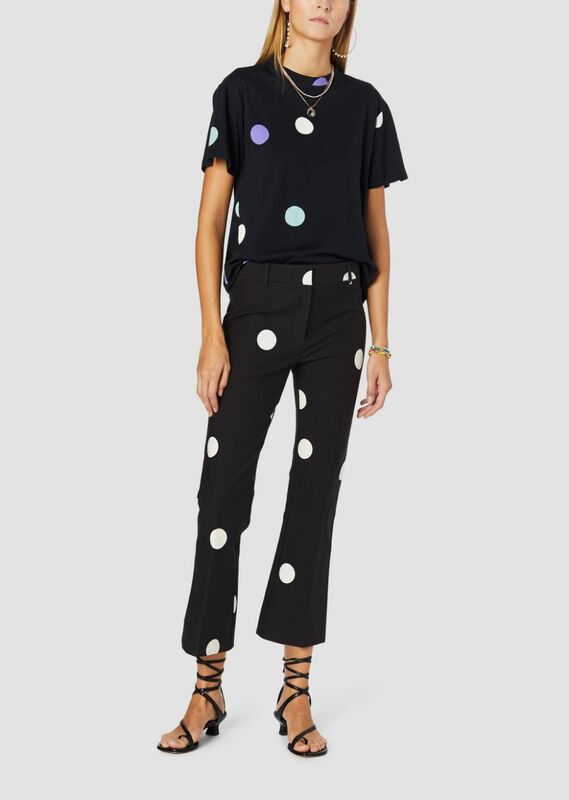 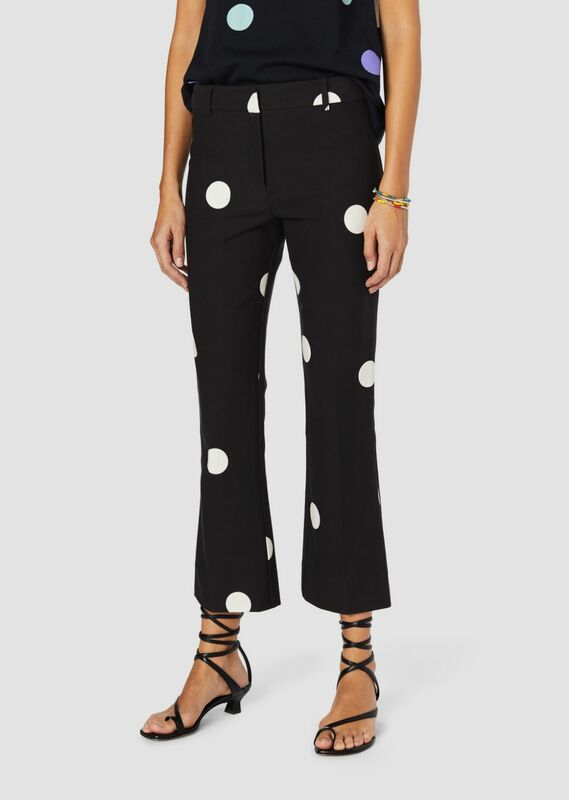 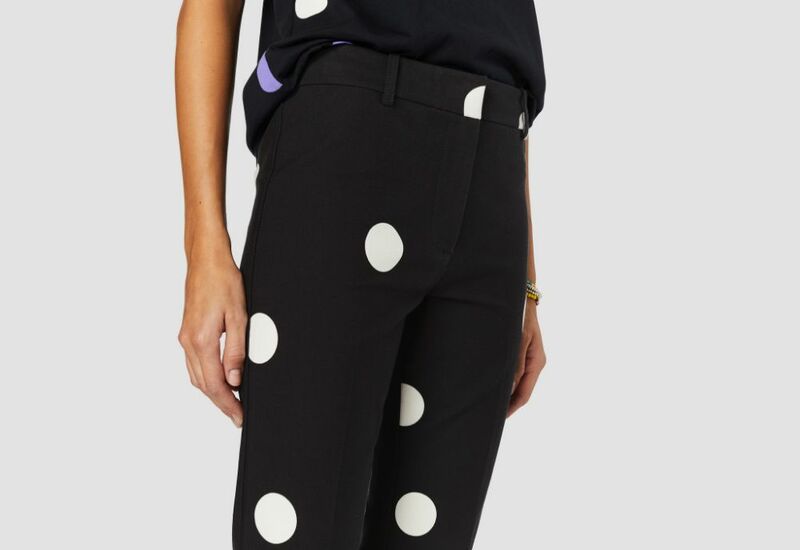 It's all about bigger and bolder dressing this season, these tailored twill trousers have a whimsical polka dot pattern that certainly takes the cake. 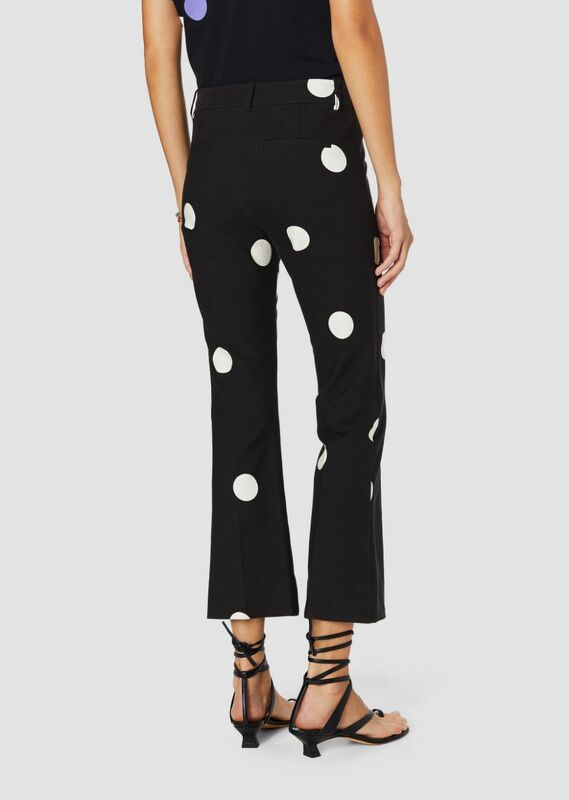 The look is highlighted further by a cropped flare hem. 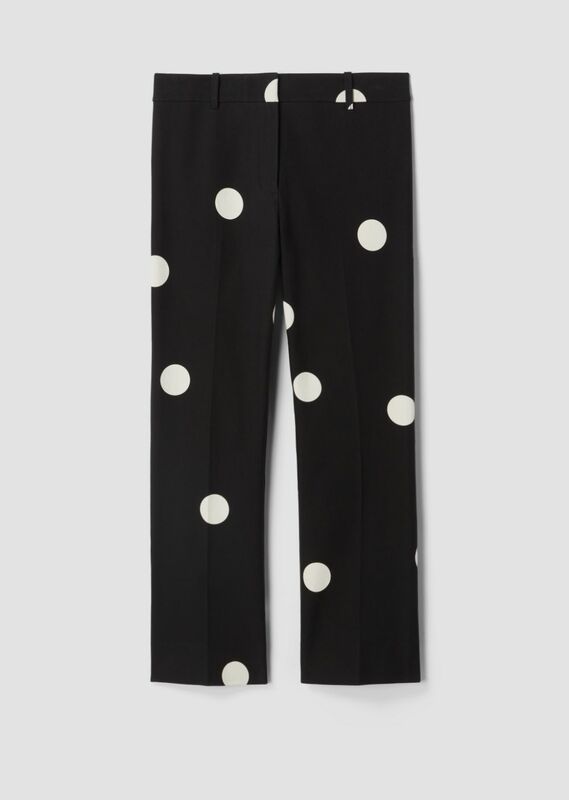 Polka dots are slighly scaled down on actual garment.